There was something about him that troubled more than a few fellow classmates and led police to the Southside High School cafeteria, where they discovered the 18-year-old student armed with a .22 caliber Ruger semiautomatic. Inside a duffel bag beside him, Elmira Police found 14 pipe bombs, three carbon dioxide cartridge bombs filled with gunpowder, one propane bomb and a sawed-off shotgun with several rounds of pellets. All 1,200 students were evacuated, and no one was hurt before police apprehended Jeremy Getman on Valentine’s Day 2001, exactly 17 years prior to the date a gunman opened fire at Majory Stoneman Douglas High School, in Parkland, Florida, leaving 17 dead and the living to ask why. Sadly, threats of violence at school have become somewhat a sign of the times. On average, 50 threats are reported each day in the United States. That’s compared to 10 per day at the end of 2017. And while some of these incidents no longer generate national headlines, they do continue to pressure legislators, educators and law enforcement to develop sound prevention initiatives that can thwart future attacks. Whatever those ideas are, they will likely require a financial commitment to realize. Most schools have already taken steps to curb violence since the Columbine massacre in 1989, but they have done it without federal funding or oversight. Now, in the aftermath of the Parkland shootings and with debate at a highpoint, lawmakers want to encourage schools to do more to safeguard classrooms with training, reporting and crisis intervention. — Training programs to prevent violence and identify warning signs for school staff, students and law-enforcement. — Technology and equipment to improve school security and infrastructure, such as reinforced entryways and locks on classroom doors, and the development of anonymous reporting systems, like the Safe Utah smartphone app. — School-threat assessment and crisis intervention programs including mental health responses. — Local law enforcement and school police officers. The House has already introduced its version of the STOP School Violence ACT to fund safety initiatives. The bill is backed by Florida congressman representing Marjory Stoneman Douglas High School, Rep. Ted Deutch (D-FL), as well as Rep. John Rutherford (R-FL) and others. Their legislation would fund a grant program to train students, teachers, school officials, and local law enforcement on how to identify and intervene early when signs of violence arise. The measure also creates an anonymous tip line to report potentially dangerous people. Lawmakers believe the schools safety initiative is a start, even if the legislation does nothing to address gun control. Researchers have watched money to study gun violence run dry since 1996, when Congress blocked the Centers for Disease Control and Prevention from allocating funds for firearms injury prevention. Although not a ban on federally funded investigations, some researchers believe the move has had a “chilling effect on studies that has lasted more than two decades." Libby Hikind, founder and CEO of GrantWatch.com, acknowledged limited funding devoted to gun control research, but said schools can still begin to develop heightened safety programs based on grants that are available to look at mental health and conflict resolution in at-risk youth. Nonprofits, public and private foundations, small businesses and entrepreneurs frustrated by the often-overwhelming process involved with searching for grants can identify funding opportunities that are easy to read and simple to comprehend at GrantWatch.com. Sign-up here so you too can receive the GrantWatch weekly grants newsletter prepared specifically for your organization's location. According to the Mesothelioma + Asbestos Awareness Center (MAAC), asbestos is the leading cause of occupational cancer. Exposure to asbestos in manufacturing or assembly industries has been linked to long-term health problems — symptoms of lung disease and cancer don’t appear until decades after exposure. The search engine Grantwatch.com has culled several hundred grants in the medical and healthcare arena. From basic medical and healthcare grants to individuals to organizations, clinicians, researchers, and other individuals operating in the health fields. Grants also encompass the health and wellness sphere and other health-related initiatives. For most people who have little exposure in their lifetime, asbestos is not a primary cause of health problems. However, asbestos is present in our homes, and long-term exposure to it as airborne particles can cause health problems, such as asbestosis, asbestos warts, lung cancer, pleural effusion, pleural plaque, pneumothorax, and even a rare disease known as mesothelioma. The good news is there are ways to reduce the risk of exposure to asbestos as well as other particulate matter in the air. Through Historical Preservation Grants, rehabilitation of landmarks containing asbestos and other serious health threats can be funded for historical homes, libraries, museums, film, art, cultural and religious assets. What is asbestos and why do we care? Asbestos is a naturally occurring mineral that separates into very fine, extremely durable fibers that are not affected by heat or chemicals. In addition, asbestos does not conduct electricity. These qualities make it an excellent addition to products that have to meet fire safety and electrical safety standards or requirements. What’s so important about airborne asbestos? Asbestos must enter the body to be harmful. Usually, this happens when you breathe in the tiny, broken pieces of asbestos fiber that have come loose when a product or material that contains asbestos has been cut, ripped, damaged, or disturbed. Being mindful of the fact that older homes, especially those built before the 1980s, are likely to have more building products and finishes that contain asbestos than more recently built houses, what can you do to minimize possible exposure to asbestos? If you are concerned that a material in your home contains asbestos, there are a few measures you can take to minimize the risk of airborne pollutants. If the material is in good shape, leave it alone and minimize any activities in the area where the material is present. If you are unsure about the condition of the material, have it inspected and repaired — usually sealed, covered, or encapsulated — by a qualified person. Asbestos removal is usually a last resort. Regardless, do not try to do the work yourself, always hire a trained professional to safely handle materials to avoid exposure to the fibers. This is a job that should never, ever be put on the D-I-Y list! Reducing the risk of exposure to airborne asbestos can have additional health benefits. One way to guard against possible airborne asbestos is to install a properly-sized, whole-home ventilation system. Older homes have two conditions that lead to high levels of airborne pollutants: the building "envelope" allows dust and pollen and other contaminants in through air leakage, and there’s not enough controlled mechanical ventilation to clear the indoor air. In situations like this, tightening up the building envelope and installing a controlled ventilation system will lead to a cleaner indoor environment. A ventilation system that exchanges stale polluted air for fresh and filtered air will keep your household healthy. For those who already have respiratory illness, fresh and filtered air can improve their quality of life by eliminating the majority of pollutant ‘triggers’. An air filtration system guards against all sorts of common airborne particulate matter, whether its source is asbestos fibers crumbling off pipe insulation in the basement, dust, or heavy seasonal pollen counts outside. Filters are rated by a Minimum Efficiency Reporting Value (MERV) Rating. The higher the MERV rating, the fewer dust particles and other contaminants can pass through it. On Zehnder HRVs, for example, a standard filter (MERV 7 to 8) removes pet dander, pollen, dust mites and droppings, auto emission particles, and lead dust. The optional finer filter (MERV 13) removes even smaller particles. Additional filter casings can be added to the system for larger capacity with ratings up to MERV 15. These filter casings can also be fitted with Activated Carbon filters. The filters are easy to remove from the unit to either safely clean or replace. Be mindful of the air you breathe! Fresh filtered air promotes a healthy indoor environment, while adequate ventilation promotes cleaner indoor air. 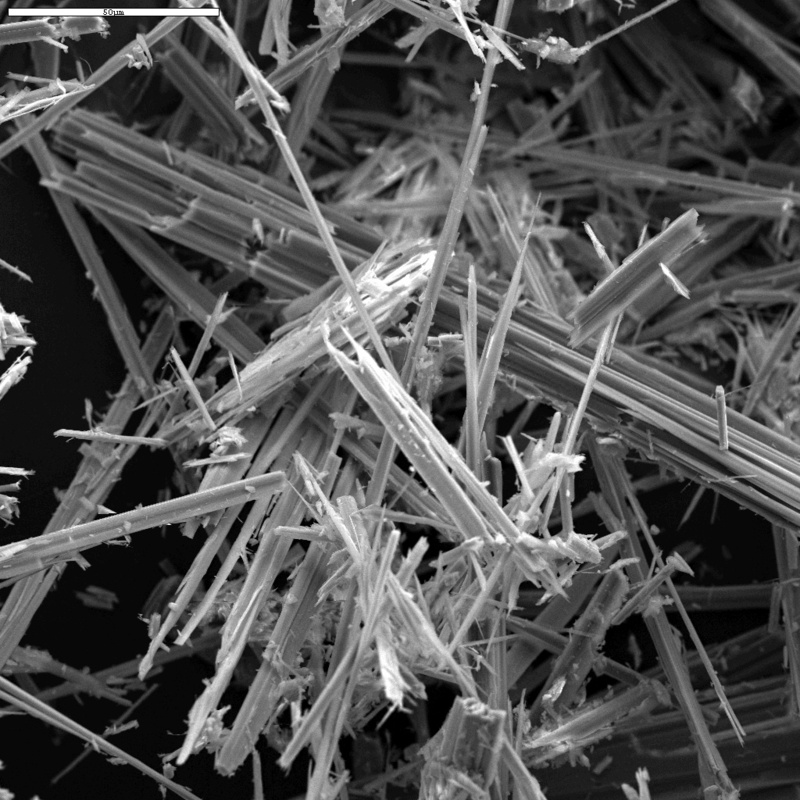 To learn more about how to prevent airborne asbestos exposure, visit the MAA Center blog, website and Facebook page. When their autistic son who was also born with Down Syndrome had outgrown the public-school system, Cindy and Bryan Boynton were confronted with a dilemma. They needed to find a place where Drew could go every day that would not only meet his needs, but give him a sense of joy and purpose as well. Cindy Boynton didn’t look very far. Earlier this year, she used her predicament to create the SA Life Academy, a day program housed in St. Andrews Methodist Church where Drew and adults in San Antonio like him with disabilities can gain fulfillment through continuing education and community service. SA Life Academy offers disabled adults a variety of activities – from visiting San Antonio Botanical Garden to baking cookies for city firefighters. The students have also visited museums, seen movies, gone bowling, watched the ballet perform, boarded the boats on the River Walk, pitched in at the San Antonio Food Bank and helped prepare food for Meals on Wheels. As a 501(c)(3) nonprofit, SA Life Academy relies on grants, private donations and fundraising in addition to program tuition. Libby Hikind, founder and CEO of GrantWatch.com, said the recent introduction of one-year-old Lucas Warren, the first Gerber Baby with Down Syndrome, will raise greater awareness about the plight of children with the condition and attract corporate support. Foundations, corporate sponsors and state and local governments are a good source of funding for nonprofits that engage adults with intellectual disabilities in meaningful, social, vocational and educational pursuits. “With so many in need of services, nonprofits have only scratched the surface for providing advanced educational, housing and employment opportunities for adults with special needs,” said Hikind. While not widely publicized, Hikind said there are numerous funding opportunities from private and government sources posted on GrantWatch.com to help the disabled as well as their families and care providers with financial obligations, medical expenses and even equipment. The curriculum at SA Life Academy is structured around academics, building relationships, community service, creative expression and teaching healthy habits. Through routines and role-playing, the students learn social skills and other life lessons. SA Life Academy has three teachers on staff who have backgrounds in special education. Currently, SA Life Academy’s program serves a maximum of 12 students each day. Once students enter the program, they are welcome to stay indefinitely. There is a waiting list that Boynton hopes can soon be turned into a second class. Doing so would require hiring additional special education teacher to oversee the class and purchasing a second van. Eventually, the staff would like to move SA Life Academy into a physical space of its own, likely within the next two to three years. That would allow the program to accept even more students. As his family celebrated Thanksgiving this year, Abdel Bashiti played games with his cousins and made s'mores. Less, than 24 hours later, the 12-year-old boy was killed by a bullet that strayed from a gang dispute outside his father’s beauty supply store in Cleveland. The shooting left his family in shock and city leaders and law enforcement agencies scrambling for ways to suppress youth violence and eradicate gangs from Cleveland’s most dangerous neighborhoods. The Cleveland Peacemakers Alliance knows the challenges and has been tackling the city’s problem for the past decade by mediating disputes and mentoring at-risk teens and adults. An $800,000 grant from the Cleveland Foundation will help support the Alliance’s projects and programs. Nationwide, nonprofits like the Cleveland Peacemakers Alliance are seeking to expand sorely needed services to empower at-risk youth, keep them active in programming and provide a foundation for making healthy choices. Libby Hikind, founder and CEO of Grantwatch.com, says government agencies and private foundations have committed to fund programs that support law enforcement strategies and expand programs for at-risk youth populations. New York State has proposed spending $11.5 million on Long Island to thwart gang recruitment by expanding after-school programs, vocational training, and educational efforts. Grantwatch.com currently lists funding opportunities for similar programs that respond to the needs of hard-hit local communities, especially at-risk youth and adults who are economically or physically challenged. These programs can support to initiatives focused on athletics, the arts and other educational projects. The Cleveland Peacemakers Alliance will use a portion of its grant money to fund Pathway to Resilience , a career-training program that combines instruction with extracurricular activities, such as athletics and music. Pathway to Resilience, launched last year, is a partnership between the Boys & Girls Clubs of Cleveland and Resilience Capital Partners. Research has shown that after-school programs can help lower school drop-out rates and reduce youth crime. Toward this end, Grantwatch.com lists RFPs for nonprofits that can develop programs to encourage at-risk youth to participate in sports, high-quality after-school programs and in-school academic activities. Funds can be used for community events, academic tutoring, sports camps, school and youth-group athletic programs and coaching leadership and development. According to the Rose Institute at Claremont McKenna College, taxpayers save roughly $3 for every dollar spent on high-quality after-school programs. If benefits from crime reduction are factored in, each dollar invested in an at-risk child saves $8-$12. Child advocates also say adult role models can push at-risk youth to make better choices and become productive citizens. At-risk young people who had mentors, according to “The Mentoring Effect” report, are 76 percent more likely to aspire to enroll in college and are also more likely to hold a leadership position in a club, sports team, school council and other groups. Rise Up For Youth started in 2005 as a mentoring and gang prevention program. The local nonprofit is fighting to keep kids alive in Wichita, Kan., where four teens were murdered last year. On top of that figure, seven teens have been arrested in homicides that have taken place in the city in 2017. Even one life lost, the organization says, is one too many. That’s why Rise Up For Youth has expanded its program to four Wichita high schools, where volunteers mentor at-risk youth. Part of that job means helping the students pick their careers and visit colleges. The group boasts a 100 percent graduation rate among its high school students and 70 percent went on to enroll in secondary education or military service.